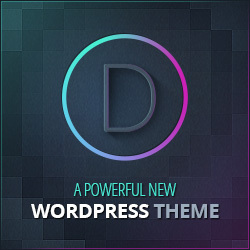 We also offer this plugin as a SAAS (Software As A Service), you can take a look here https://doopchat.com/, use this service if you don’t want to go through the setup process with WordPress or in case you don’t own a WordPress site to install the plugin. You don’t need to imagine – that you grab thousands of FB leads in your WordPress database from just ONE Facebook post. You only have to take actions NOW !! Start living with richer conversions by making customers know you and trust you. Create posts to drive Facebook users to get involved and boost engagements. Reach your customers frequently WITHOUT monthly fee! The message you send will be delivered to visitor’s Facebook inbox, and a message box will pop up on the screen. You get 100% inboxing rate! Be the first to strike up conversations & directly give more information to your leads to get more sales. It’s very easy to set up and tailor your messages. No more waiting for visitors to leave messages, now you actively say hello to them. You can use this plugin in combination with Facebook Messenger for WordPress or Bulksender to expand your customer base. You’re spending a lot of money and time creating fresh content for organic growth. You’re carefully laser-targeting people through Facebook advertisements. You wish you can turn more of your audience into profitable clients. Now you can achieve it, yet completely at ease! Q: Can I use Messenger Auto-Reply with many different fan pages? A: Yes. You only need one Facebook app for many different fan pages. Q: Does it work with all of my fan page posts? A: Yes. Once you set up, all of your Facebook fan page posts will be indexed, include dark posts, Ad, video, photo posts. Then you can set private messages for any specific post. Q: Does it support multi-site? A: Absolutely! We support both types of multisite installations: Sub-directories & Sub-domains. Q: Can I set different message contents for different comments? A: Yes. You can set tailored messages based on differentiated keywords that the comments contain. That feature is called conditional response using Contain/Not Contain logic. Q: Can Messenger Auto-Reply save user contacts such as Facebook profile, Name, Gender? A: Auto Reply helps you increase inbox rate, and you can use Bulksender plugin help you collect user data and send bulk messages to your users. Q: What is the difference between Messenger Bulksender and Messenger Auto-Reply? A: When someone messages your page, Messenger Bulksender keeps their contacts in your database and lets you send tailored messages in bulk to them. Think about MailChimp, but in Messenger inbox. When someone comments on your page/posts, Messenger Auto-Reply automatically sends private messages to them, intrigues them to reply and engage. Q: I followed all of your instructions but my app is not approved by Facebook, what can be missing?